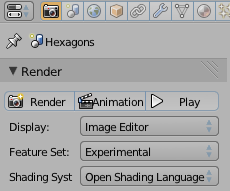 Now that the Blender Cycles render engine can work with Open Shading Language (OSL) shaders the first task I've set out for myself is to recreate some of the textures I implemented before and the first one we tackle is the hexagon shader. Now you can insert an OSL node anywhere in your node setup by clicking Add -> Script and selecting the name of your text editor buffer in the drop down. The code is a generic shader, i.e. 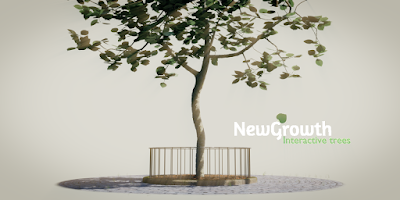 its output color does not take any lighting calculations into account and a more familiar way to refer to such a shader would be a custom texture or pattern. Obviously you can plug its calculated color into a diffuse shader for example but you could also combine it with other textures. The shader has 3 different colors as input parameters and a coordinate. 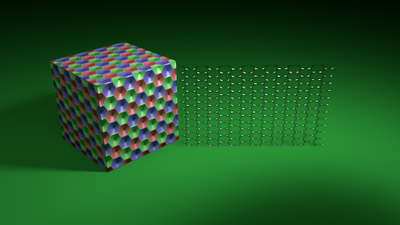 Its outputs are not only a color, but also an integer color index and the distance to the center of the hexagonal cell. The latter can be used for all sorts of displacement tricks while an index is usefull if you want to change not just the color of a cell but use a completely different texture or shader for each cell. In the next article I will probably focus on implementing a scales pattern that can either be used for fish scales or roof tiles (shingles).